All You Need To Know About Self Hypnosis And Does Hypnosis Work? With the lack of information and self awareness in our early years, people tend to have little understanding and awareness of themselves and how their mind, emotions and body work. Without awareness it can be very hard for people to understand what is causing them all their problems and difficulties and what they need to do to fix their issues and get ahead in their life. Without the right information and techniques, change can seem very hard for many people. This leaves them struggling through their life, often going from one problem to the next, when really they should be living their life to the full and growing and expanding. Because, each person, has amazing abilities and potential, but it is hard to find inner peace and tap into your true potential if you have, emotional attachment, negative habits, limiting beliefs or unresolved emotional issues. You are pure intelligent energy and limitless potential, and you already have amazing capabilities, but you can only access your true powers if you have the right positive beliefs and programming. Without the right beliefs and programming, you won't spot the opportunities and take the actions or do the things that will change your life for the better. All your bad habits and limitations are mental programs that are running in your subconscious mind, if you want to let go of your suffering and limitations, you will need to reset and rewire your internal programs. Your subconscious programming controls most of which you perceive and do, including, most of your thinking patterns, your beliefs, your actions and your behaviors. Your brain is a self regulating feedback system, and it can only run off your previous negative programming and what it has learned and knows up until now, this operating and feedback system runs automatically. Most of our past programming has been handed down to us by our parents, peers, family and society, and unless you were brought up in a happy and successful environment, the chances are, you have picked up some negative and outdated beliefs. Many of us are living our lives by second hand beliefs and the opinions and ideas of others, when people attempt to change, without first changing their subconscious programming, they usually find change to be very difficult. Most people use willpower to force change, but when you rely on willpower to change, you might get some initial success, but often the results you get, will be temporary. Because as soon as you hit a bad patch or your subconscious mind recognizes that you have deviated out of the boundaries of your comfort zone, your existing self image or previous programming, it will bring you back into your default programming. Unless you change your internal subconscious programming, the chances are you will struggle to make the changes that you want and you may not experience the new you and the new life that you can have. To change your beliefs and program, you also have to change the way you feel, and this is where self hypnosis comes in, because it can deliver the two critical things that are required for positive change. First, it will deeply relax you and put you in the theta state, which is the relaxed state where change is possible. Because it is very hard to change if you're stuck in a negative state or you have a negative emotional attachment to a problem or limitation. Once you're feeling deeply relaxed, the hypnotherapist, will guide you to reset your negative programming and create positive and lasting changes and improvements. So yes, self hypnosis does work, and now, thanks to modern day technology, a self hypnosis recording it is is attainable and a very inexpensive. 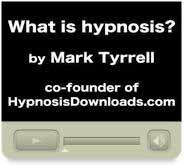 To understand what hypnosis really is, it can help to consider it as a means of making positive change by showing your mind new positive and helpful possibilities through the power of guided imagery, suggestions and persuasion. When you hypnotize someone you are subtly persuading them that some of the negative beliefs, thought patterns and perceptions are not true and there are better ways of perceiving or doing things. Whether that's the idea that they don't want another cigarette, overcoming a fear or changing a belief they are not good enough, capable enough or they don't have the self confidence to cope with or handle certain things or situations. The problem is, that when someone tells you something that is true or new to you, you generally tend to reject it until you're given proof. Many people want the assurance of scientific proof that something works, and self hypnosis do have plenty of scientific evidence to back it up. You could compare hypnosis with tending to your garden. Let's say, your garden is full of unwanted weeds and you want blooming flowers. First, just like your problems and bad habits, unless you pull out the weeds by their roots, they will just keep on coming back. But if you pull the weeds out by their roots, then they will no longer return and bother you, then all you have to do is, start to sew the seeds for the beautiful flowers and then just allow them to grow and flourish. Hypnosis is like the garden of your mind, if you do not address the root cause of your problems, limitations or worries, then they will keep on resurfacing. However, if you tackle the root source of your problems, you can then start to plant new positive ideas and possibilities in your the mind that in time will grow and make you and your life better and more rewarding. Your mind works in patterns and associations and unless you change your negative or unhelpful patterns, then they will continue to run your thoughts, reactions, actions, performances and beahviors and until they are changed and replaced, they will trip you up everytime. Hypnosis can help you to address the root of your bad habits or issues and replace them with new positive idea's, thinking, supporting beliefs, behaviors, associations, habits and actions. You could also compare your mind to the surface of a lake. When you are feeling stressed or you're experiencing strong negative emotions, your mind will be turbulent like a choppy lake, but when you tame and master your emotions, the surface of your mind will return to calm and still again. Our life's experiences, outside influences and situations can cause the surface of our mind to become turbulent and choppy, but by using the power of hypnosis, you can calm the surface of your mind and experience inner peace, balance and harmony. To be able to make positive changes you have to persuade your all powerful subconscious mind, which is the part of you that is responsible for most of your thought patterns, your beliefs, your emotions and your fight or flight and fear mechanism. To let go of any negative limitation, bad habits to believe something they wouldn't normally, then you need to go under their conscious radar and speak directly to their subconscious mind. The best way to do this is to get that person to feel completely relaxed and at ease, so they drop their logical guard and suspend any negative beliefs long enough to make those much needed positive changes. All problems, limitations and bad habits come with an active negative energy, to change you have to be in the calm energy which can only be found outside of the negative energy. This means, you will find it hard to change if you have an active negative energy going on or you're stuck in the negative energy of the problem. This is why hypnosis is so effective, because it will first put you in a relaxed state which is outside of the negative energy or problem your wanting to change or solve leaving you primed for making those sort after positive changes, then secondly, it will replace the negative associations with positive ones. This is what is known as putting someone in an altered state of awareness and a suggestible state. When you're listening to a hypnosis recording, you will be fully aware and in control of where you are and what is happening, but at the same time you will shut yourself off from the outside world and you will switch to an internal focus of awareness. Once this has been achieved, then the right positive language or imaginary guidance can then be used to make that person, trust in what the hypnotist is saying, so they can subtly guide them to make or accept new helpful and supporting idea's and beliefs, new ways of perceiving things or changing the way you react. After the session, the subject will likely have adopted and taken on board those ideas as their own, and they will then come their new way of reacting, performing doing or thinking. As with anything, hypnosis can be good, bad or indifferent. The most common is old-style authoritarian hypnosis of the type "You are getting sleepy, you are feeling confident". Unsurprisingly, this sort of hypnosis doesn't work well with many people. Good hypnosis uses subtle psychological principles and advanced communication patterns. Subliminal's are words that you can't hear. Common sense says they shouldn't work, and there's no research proving that they do. All you will experience during your session is an altered state of awareness and a deep sense of relaxation which is highly enjoyable and safe, once you start reaping the benefits that hypnosis and guided imagery will give you then you will want to use it for the rest of your life. Self hypnosis and guided imagery is a powerful tool and an enlightened experience that can help you to solve your problems and change your life, there is very little it can't help you with. Hypnosis alters the brains interpretation of self and who we are, it helps your mind to view things from a different and alternative positive perspective. Self-hypnosis will give you the key to access the software of your inner mind where you can alter the negative programs which have been influencing your thought patterns, your decision making, your actions and your behaviors. If you go ahead and try hypnosis, then there are a few tips that you can do to make the positive benefits take place even quicker. Before your session have a glass of water to make sure you're hydrated because it has been proven that being hydrated is beneficial in any form of negative energy clearing. Doing exercise a few hours before your session can help to burn off all that high energy, but the best tip is, go into your session with a positive and optimistic mindset, belief and attitude that it will help you. Although hypnosis is designed to deeply relay you you can further enhance this by getting rid of your stress and tension, such as doing some form of exercise or having a massage. Having a relaxing bath can also help to loosen those muscles and further relax you. Hypnosis alters the brain's interpretation of self and who we are. In a deep state of hypnosis some experts and Hypnotherapists say it's as if they are encountering another person, almost like we all have a split personality. Behind every problem lies a solution and these days there is no need for people to suffer or stay stuck in a rut and in a negative place because hypnosis will give you the tools to fix and cure your troubles and problems. Hypnosis can help you undo and redo any unhelpful or limiting programs that are running in your subconscious mind leaving you with a clean slate to reprogram your mind with what it is you exactly want. But if you're still not sure, hypnosis, has now got scientific and medical backing and test have revealed that the impact on the brain can be measured scientifically, according to one of America's leading psychiatrists. David Spiegel, from Stanford University, has revealed to the American Association for the Advancement of Science how he has demonstrated how hypnosis can influence the brain. He went on to tell the delegates that he had undergone controlled test where he scanned the brains of volunteers who were told they were looking at colored objects when, in fact, they were looking at black and white ones. The scan, which cannot lie, showed areas of the brain that are used to register color highlighted an increase blood flow rate. This indicates that the volunteers who took part in the tests did genuinely see the colors, which they had been told they would. "This is conclusive evidence that something does occur in the brain when people are hypnotized that doesn't happen ordinarily." Mr Spiegel then revealed to the delegates" that's what he concluded from his research was, he believes that hypnosis can bring about "tremendous medical implications" and he envisaged people being able to manage their own pain and anxiety through the use of hypnosis. Hypnosis is also gaining increasing medical support and now more and more doctors are starting to realize it is an alternative way to help emotional and psychological problems rather than just taking prescription drugs, this has been endorsed in Dr Hilary Jones book "what's the alternative". Hypnosis could be described as a combination of meditation and life improving changes, so you're getting the relaxation benefits of meditation, but as an added bonus, you will also be able to change your life for the better at the same time. And for most people it can help you to make positive changes and beneficial improvements to your life sometimes in a very quick time. Hypnosis is based on, suggestibility, relaxation and guided imagination and because of the deeply relaxing properties not only does it help you to make life improving changes, but it is also one of the best ways to reduce stress and sleep better. Hypnosis is perfectly safe and natural, it's a bit like daydreaming like when you get lost in a book where, although you still conscious all your attention and awareness is being switched off from the world around and all your everyday troubles and worries. This is why it is a great way to give your mind and body a welcome break from the stresses and strains of everyday life. They are a lot of misconception too how hypnosis works and there are many people missing out on its amazing benefits because they still think it's some sort of mind control tool or where you're forced to do something against your own will. 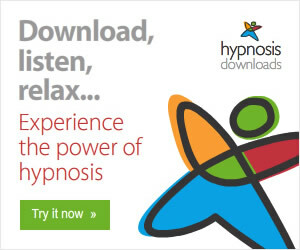 Hypnosis has been effective for treating just about any problematic area of your life as well as enhancing your performance and skill levels in just about anything you wish to improve on, it will help you relax and focus so you can make the changes you want. It is a proven tool that can help you replace bad habits as well as assisting you to become the best version of yourself. Above are a few examples, but the list is endless. Hypnosis may not help every problem, but there is very little it cannot help you with.